Courtesy of FUSILIER MANAGEMENT GROUP. Gorgeous 3 bedroom, 2.5 bathroom townhouse located in the highly desirable Laureate Park Community! This property offers open, spacious living spaces complete with formal living room, dining room, and large island kitchen boasting granite counter tops, stainless steel appliances, and ceramic tiling throughout. The master bedroom welcomes you with a large walk-in closet, master bathroom with dual vanities and walk-in shower, and it’s own private balcony with beautiful views of the community. This property also features two additional bedrooms, two bathrooms, separate laundry area, covered patio, security system, and a 2-car garage with auto-opener. The Laureate Park community of Lake Nona features a resort-like Aquatic Center with two swimming pools and sand volleyball court. The family pool offers a zero-entry pool with deck jets, water cannons and a twenty-five foot tall dumping bucket while the adult quiet pool offers private cabanas, free form pool areas and Jr. Olympic lap lanes. The community also features a lakeside restaurant and cafe, fitness center, Lakehouse event venue, community gardens, dog parks, and trails perfect for walking, running and bicycling. Restrictions: Buyer to verify with HOA. Please, send me more information on this property: MLS# O5775547 – $339,900 – 14126 Walcott Ave, Orlando, FL 32827. 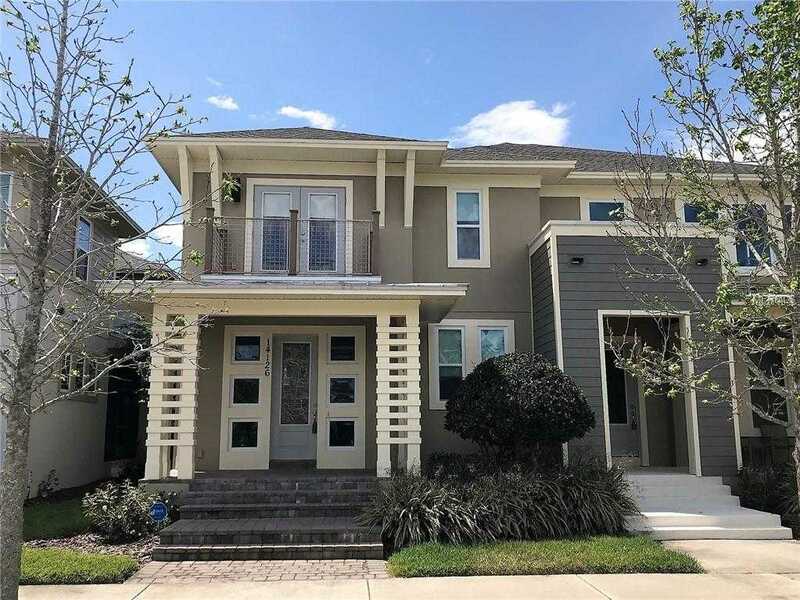 I would like to schedule a private showing for this property: MLS# O5775547 – $339,900 – 14126 Walcott Ave, Orlando, FL 32827.